ZAMBOANGA CITY, Philippines (Mindanao Examiner / Mar. 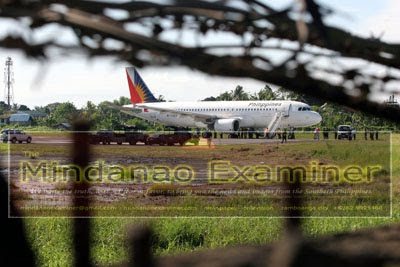 9, 2011) – A Philippine Air Lines A320 Airbus overshot the Zamboanga International Airport runway on Tuesday, and although there were no reports of injuries, the mishap delayed other flights, officials said. 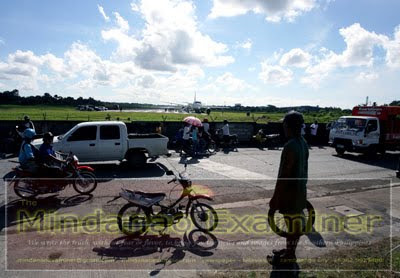 Lorito Galarita, local manager of the Philippine Air Lines, said the plane was carrying 98 passengers and six crew and bound for Manila when its two left wheels derailed at the end of the runway as the aircraft was taxing for take off. “There were no reports of injuries and we are doing everything to get the plane off the ditch,” he said, adding the mishap was likely a pilot error. “The plane was maneuvering at the end of the runway for take off when its two left wheels derailed and ditch on the mud about five inches deep. It’s likely pilot error,” Galarita said. Armed soldiers and policemen were deployed around the plane as airport ground crew helped passengers get off. 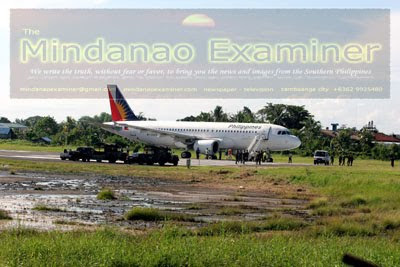 The mishap delayed other flights bound for Zamboanga City. 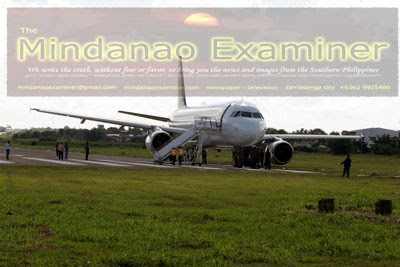 In 2007, one of Philippine Air Lines A320 aircrafts carrying 148 passengers also overshot the runway at the Bancasi Airport in Butuan City in the southern Philippines killing over three dozen people.